Converse? Sperrys? Flip-flops? Here's how the ladies really feel about your kicks. Once again we did that lovely crowd-sourcing technique to get input on how women really feel about your kicks. Originally, we polled about Converse, Sperrys, loafers and flip-flops. However, the women who participated took it a step further and really went to town on EVERYTHING. So, sit tight, gentlemen. It's going to be a bumpy ride. But, just for the record, those five-toe shoes and Crocs aren't winning points anywhere. Although we didn't ask about them specifically, there was a huge resounding NO to them in any situation. First, let's address any shoe that exposes toes (flip-flops in particular), shall we? "No flip flops, or sandals in general, unless he is walking from a car to the beach. Aside from that, all good," says Meghan, 29. "Stupid, ugly Adidas sandals and the like that look like they should only be worn in the shower, are unacceptable always," says Jen, 35. The token male voice of the group (because that's what happens when you poll on social media sometimes), Sean, 34, had to say, "Flip-Flops belong at the pool and/or sauna and that's it. F*ck flip-flops in public. As I personally identify as a male, my input is irrelevant, but I JUST HATE FLIP-FLOPS SO MUCH." "Mandal! No never, never!" says Jessica, 28. "Men in sandals gross me out. It makes me want to vomit a bit. I don't want to look at their bare feet. A little sexist, but who really cares," says Autumn, 24. "For flip-flops, only Rainbows or Haviannah (or the like)," says Kelsey, 32. 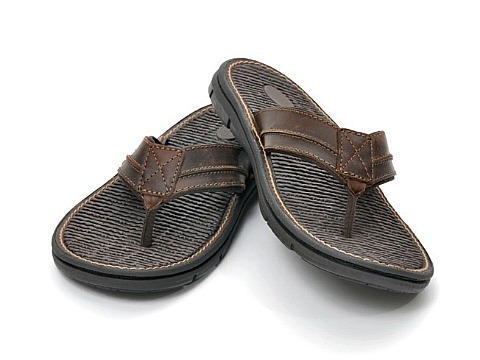 "Sandals should never be worn by men who are not on holiday in the tropics. Also, I am a firm believer in men getting pedicures, which for some reason, most of them won't get… and that's...okay. But you can give yourself one! And then when you do put on flip-flops to go to the corner, you won't gross us out so much. Because face it, men's feet are pretty gross. So do it! Scrub your feet and trim those nails and pull that nasty sock fuzz out of the crevices! Treat yourself right!" says Lyndsay, 36. Well then. Apparently, dudes have ugly feet, and women feel very, VERY strongly about this. But what about Converse, aka Chucks? Personally, I love Chucks, but that's just me. "Great … if they wore them when they were kids. And they aren't too clean." says Kelsey, 32. 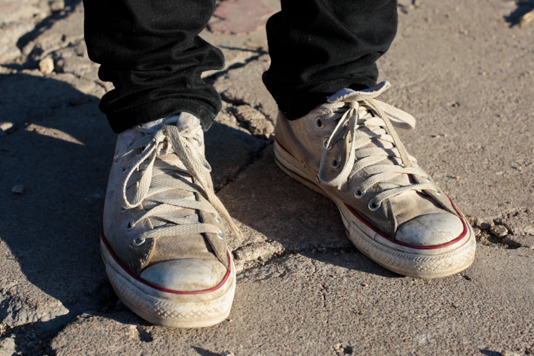 "Old Chucks over boat shoes any day, even when boaters were cool 4 years ago." says Andi, 35. "Vans rule on both men and ladies," says Sarah, 33. So, now what about Sperrys, or boat shoes in general? 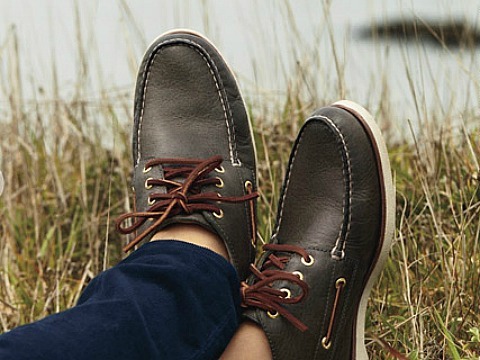 "Once upon a time boat shoes all the way, but those have somehow been tarnished over the past few years. Maybe I only like boat shoes with jean shorts and deep V-neck tees," says Liz, 31. "No boat shoes unless you're on a goddamned boat," says Alle, 29. "Douche [men in boat shoes] unless they truly are East Coasters. Or they are over 40…" says Kelsey, 32. Despite the hot photo of Ewan McGregor in loafers sans socks, we didn't get much feedback except that, apparently, only Ewan can pull off such a look. But we did get some input on the sole thickness of loafers, which was interesting. "As long as the sole isn't thick, spongy and black. Cute with Jeans. Only for work or weddings. Fun socks, red socks, or no socks," says Kia, 31. "Loafers (like Ewan's there) are the jam with thicker soles and a modern tongue that ends closer to the ankle than the toes," says Andi, 35. "Loafers are necessary. If you are a business man who must wear a suit. Bummer for you," says Lyndsay, 36. "Only if you're chopping wood!" says Kia, 31. "I hate those black so-called dress shoes! The toe part always looks so long! Actually men's black shoes in general are lame...unless they are Chucks!” says Jennifer, 33. I guess one could say that both my sister and I consider Chucks to be "formal" wear. The lesson we've learned? Not to be cliché, but different strokes, for different folks. Although, as I stated above, the five-toed things are a big no-no forever, and if you're a guy who wants to expose your toes, you need to back it up with a pedicure. Well then. There you go, gentlemen!